Active vs. passive 3D TV technology: What’s the difference? TV makers are introducing 3D HDTVs at a fast and furious clip. For example, Panasonic has 14 new ones, Vizio five, LG seven…the numbers keep piling up. Screen sizes range from 32- to 70-inches, and there are enough features and price variations to make your head spin. We’ll leave those specifics for another day. 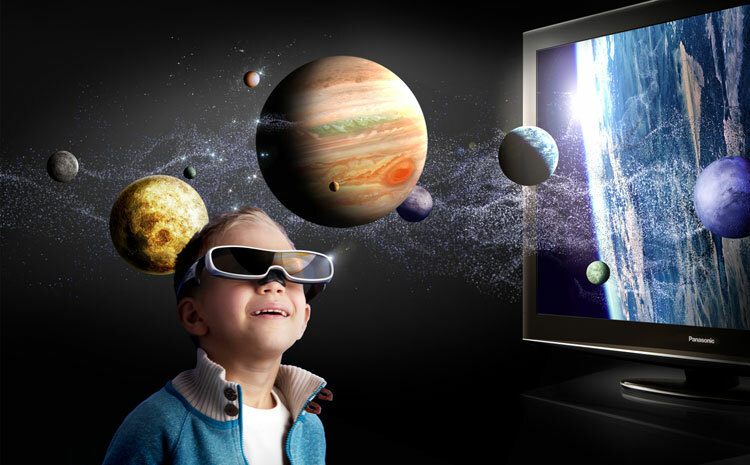 What we want to address is the issue of the 3D technologies you’ll encounter as you don your glasses and gaze at the infamous wall of flat panel TVs at the local store. Active and passive 3D technology are two rival systems for accomplishing 3D effects, both competing for your money. We’ll get into the mechanics shortly, but the key differences are the 3D glasses supplied with each type of set. 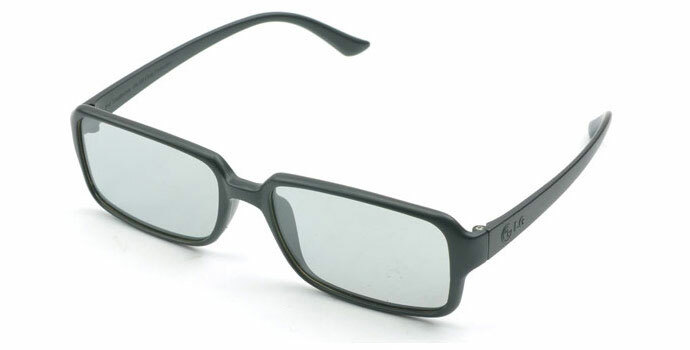 Passive glasses are similar to ones handed out at the movies: They’re light, cheap and do not require any power. LG, for example, includes four pair with its new models, such as the recently reviewed the 47LW5600. We reported the 3D experience was quite good, and the price for the 3D eyewear is definitely right. Active 3D glasses are bulkier, heavier, require battery power and cost a lot more than their passive counterparts. Typically, one or two pairs are supplied with a new 3D TV, while additional glasses cost anywhere from $50 to $179 per pair. Want to invite a bunch of friends over to watch Tron in 3D? Get ready to spend. That said, the quality is better, with much finer detail and the extensive sense of depth one expects from 3D HDTV. 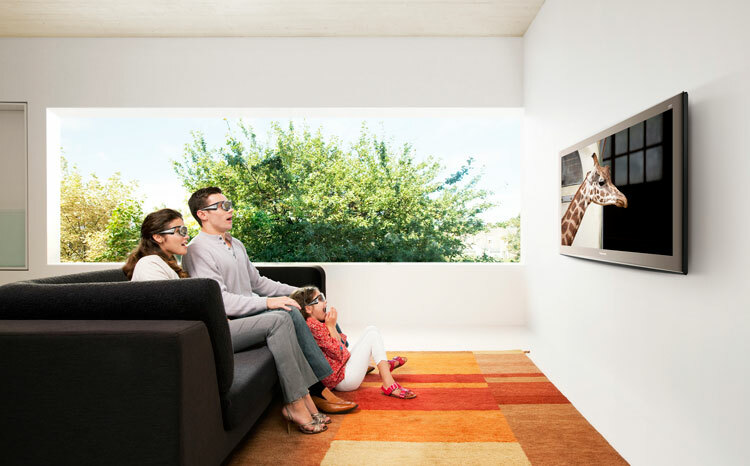 Active 3D HDTV, which uses active shutter glasses, is a sequential system. All 1080 lines of resolution are beamed from the TV display panel to your eyes. An infrared signal paired to the supplied eyewear opens and closes the left and right lenses of the glasses at a very rapid rate, hence the term active shutter. Your brain perceives these fast-moving alternating frames as 3D. The important fact to note is the amount of resolution – 1080 lines. Active models are often labeled Full HD 3D. The vast majority of passive 3D HDTVs use panels are supplied by LG Display, which operate on Film Patterned Retarder (FPR) technology. The 3D effect is created when the set’s left and right images are viewed with polarized glasses. Instead of active’s sequential frames, it’s an odd/even system and resolution drops to 540 lines to each eye, but you perceive high-def 3D. The glasses do not have to turn on and off; they just rest there “passively.” That’s why they’re so cheap, light and in our view, more comfortable. The system works well, and besides the fact quality isn’t as good as a top-tier active shutter HDTV, they are less forgiving in terms of placement; you really have to be at eye level for the best 3D effect. We recently sat through a side-by-side comparison of a new Panasonic plasma using the active system versus a passive 6500 series LG 3D LED LCD HDTV. The difference was dramatic as the detail and effects of the Panasonic looked far crisper and more realistic. A still image was shown of a guitar on both screens. The strings on the LG had jagged edges, and turned into double lines as you stood up and moved off center. The Panasonic held rock steady. We know this is not a true apples-to-apples comparison as plasmas use a faster self-illuminating technology that’s far more responsive than any LCD on the market. This speed is the reason plasma 3D effects have less blur and crosstalk, which you see as double images on the screen. Competitors readily admit plasma has an inherent advantage over LCD because of this faster response time. So if you’re looking for the absolute best quality in 3D as well as 2D, plasma is the way to go. They also admit plasma doesn’t lend itself to passive technology—it’s too difficult and expensive to implement. Now the price-versus-quality debate begins. Take a look at that wall of 3D HDTVs and check out new passive models from LG and Vizio. We gave the passive LG 47LW5600 an Editor’s Choice award because the 3D quality is very good, the price is right while the glasses are inexpensive and light. We have absolutely no problem recommending them. And yet active shutter 3D is better, especially on a plasma display. Those in the active shutter camp well know the sticker shock consumers face dealing with the cost of eyewear. That’s why Samsung recently dropped the price of its basic glasses to around $50, plus many of its sets come with two pair of active shutter glasses. You can expect similar price drops from other makers as the year progresses. Competition is a wonderful thing!